Are you planning on hosting a Super Bowl party next weekend? It can be a lot of fun to have friends and their families come over to watch the game. If you all have kids, it might be worth making a “game plan” for throwing a kid friendly Super Bowl party so that the grown ups can watch the football game and the kids can enjoy themselves too, especially if they get tired of watching football. 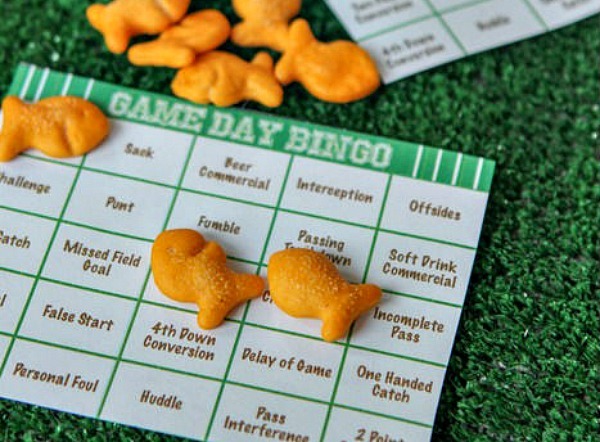 Create bingo cards that are kid-friendly and this will keep them occupied during the game. You can use words or images that they need to find on TV during the Super Bowl. Things like, a touchdown, a player with a ponytail, the announcer saying awesome, a timeout, a player’s jersey number, a car commercial etc. Then give them some bingo ink, felts or even goldfish to use as markers. Give them more incentive by having a prize for the first one to get bingo. For a kid friendly Super Bowl party, have a craft table for the kids to create flags for the team they are cheering for. 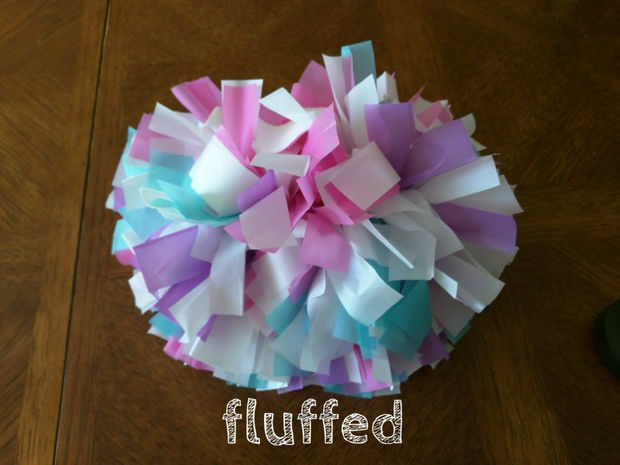 You’ll need coloured construction paper in the team colors, glue, markers and crayons. Use straws of popsicles sticks as the flag handles. Make sure to make two samples ahead of time so the kids have something to base their designs on. Here is a DIY team flag you can try. Create a little scavenger around the house to keep the kids busy if they are bored of football. Either draw or write the names of the items on a pieces of paper and let them go. You can buy some stuff from the dollar store and make it a sports themed scavenger hunt or you can just use items around the house. Make a sundae station, for the kids (and of course the grown ups.) Here they can create their own ice cream sundaes with lots of fun toppings and enjoy it during half time. Have a make your own pizza station. All you need is pizza shells. 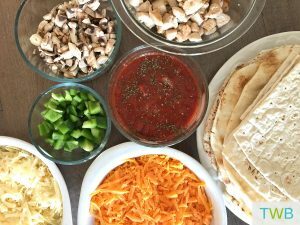 Then have the sauce, toppings and cheese set up and let everyone create their own delicious pizza’s, totally perfect for a kid friendly Super Bowl Party. Those are a few tips and ideas for making your Super Bowl party a little more kid-friendly. Will you be hosting (or attending) a kid friendly Super Bowl party this year?